When Russian soldiers unearth the Dracula family vault - two of the coffins are empty! Both devoted servants have risen from the grave to search for the Count's ancestor, living in Hollywood, unaware of his Satanic heritage. But not for long. . .because Michael Drake's life will now be dogged by screaming terror in an ingenious twist on the vampire legends of old. 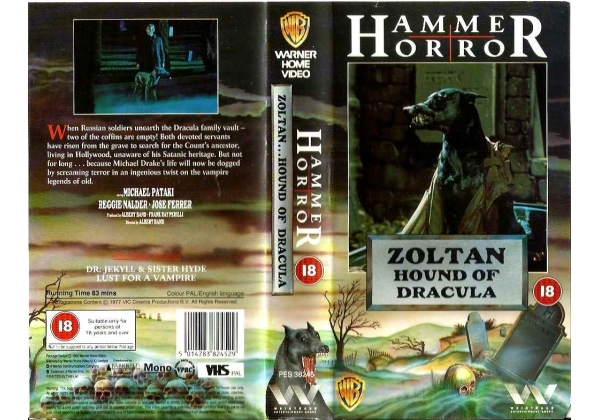 � VIC Cinema Productions B.V.
Or find "Zoltan -The Hound of Horror" on VHS and DVD / BluRay at Amazon.